Putting together a schedule for which classes happen when can be a frustrating and confusing part of signing up for a new semester. However, thanks to the simple miracle of a spreadsheet program, it’s easier than ever before to put classes in order by time and date so that students can make sure nothing conflicts before they turn in their paperwork. All they need is a course registration form template to get the job done. This registration form template is available for instant download below. The template is complimentary and there are no restrictions on how many you can download or print. What is a Course Registration Form Template? 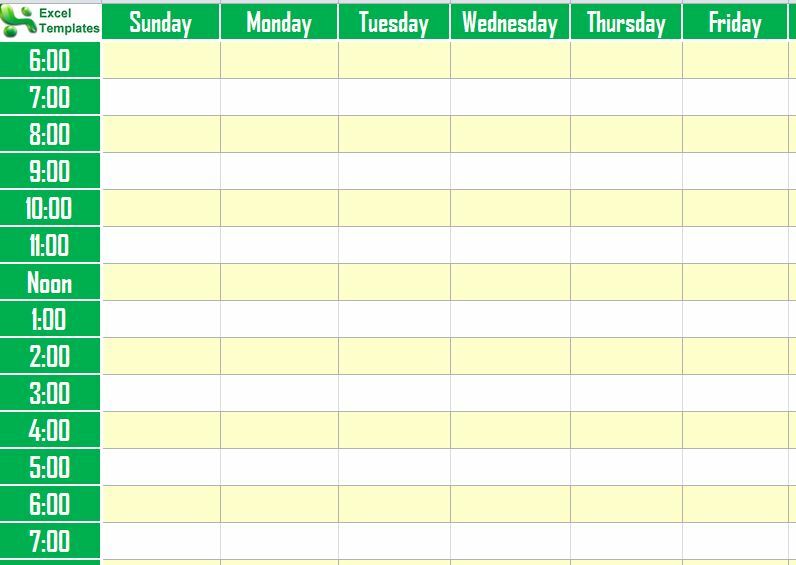 This simple template is a spreadsheet that lists days of the week along one axis, and times along the other. 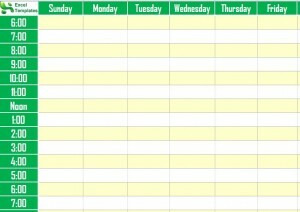 When a student decides that he or she wants to take one class or another, all that’s necessary is filling in when the class is, where it is and what day of the week it’s on. This template allows students to see when classes cancel each other out, forcing them to choose one or the other, at a glance. It’s simple to fill out, easy to use and it turns deciding what classes come next into child’s play. Why Make Things Harder Than They Have To Be? School is already difficult enough; there’s no reason to add another complication over and above what students are facing. It’s required for every student to take certain courses, and an instrument that lets them fill in the blanks with which classes go where is a great asset. Of course, a template like this can be created by any student who’s willing to sit down and put the time into the design. However, with so much to do, why make even more work when the goal is to save time? That’s why students, as well as the parents of students or their teachers, can get simple, pre-made templates for an easier semester. This template is one of the dozens available on this site designed to help make student life just a little bit better.